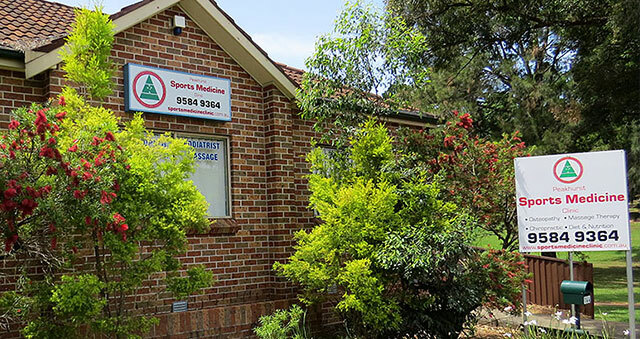 Sports Medicine Clinic is located a quick 20-minute drive from Bankstown, providing Osteopathy and Chiropractic for our Bankstown patients. Osteopathy is a manual therapy that is safe and effective to diagnose and treat all members of the family. Osteopathy is a school of medicine that views the body as a whole unit. Following this principles allow our Osteopaths to treat patients completely and comprehensively. Instead of simply relieving any pain associated with a sport or non-sport related injury, Osteopathy diagnoses the injury as well as its impact on the entire body, as per the previously mentioned principle. This is because Osteopathy treats patients with the principle that the entire body’s function is inter-related. This means that one injury can lead to other injuries or strains in other parts of the body. Through this method, Osteopaths diagnose and treat the entire functionality of the body and consequently prevent long-term impacts of an injury as well as repeated strain injury that often occurs without comprehensive treatment. Chiropractic is another treatment option that is available for at Sports Medicine Clinic for patients in Bankstown seeking a Chiropractic option. Chiropractic is similar to Osteopathy in that it treats patients comprehensively under the principle that the body is an inter-related functioning unit. Chiropractic treats patients with the principle that the body is able to repair through various skilled adjustments. Through this treatment option, patients will not only be diagnosed but also treated to address surrounding nerve tissues that can be affected by skeletal injuries or strains. Whether you have specific musculoskeletal injuries or are simply looking for a new treatment option, chiropractic could be the solution for you. Another reason Chiropractic is a popular and effective treatment method is that Chiropractors are trained health professionals that are able to locate and free up vertebral stiffness. These particular injuries can impact the surrounding tissue and nervous system and can be treated by your local Chiropractor at Sports Medicine Clinic.